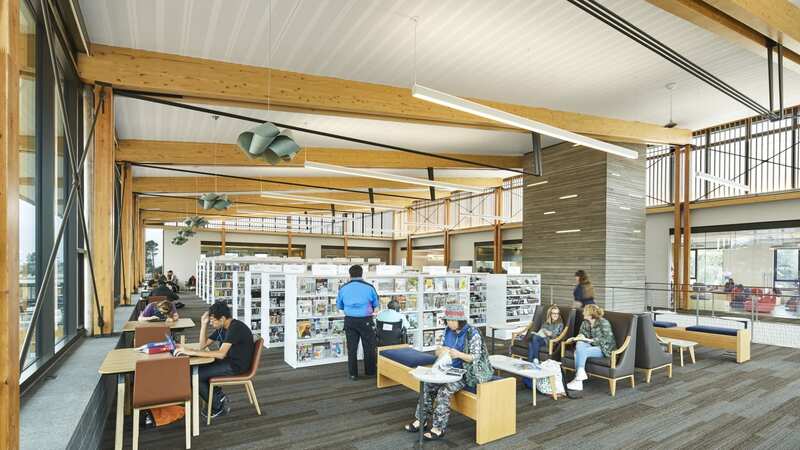 San Mateo County Libraries is honored to announce that our new Half Moon Bay Library received another award! 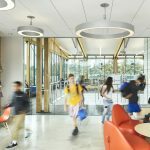 The Library was one of six recognized by The American Institute of Architects (AIA)opens a new window along with the American Library Association (ALA)opens a new window for excellence in architectural design. 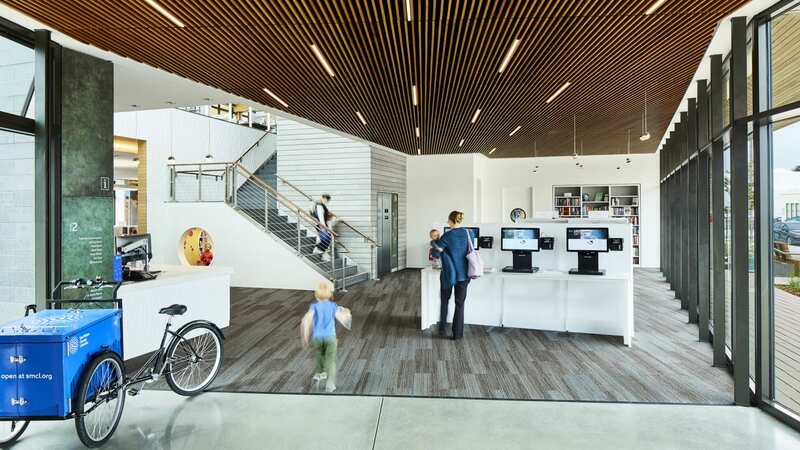 Designed by Noll & Tam Architectsopens a new window of Berkeley, CA, the Library was commended for its thoughtfulness in aesthetics and functionality in design. 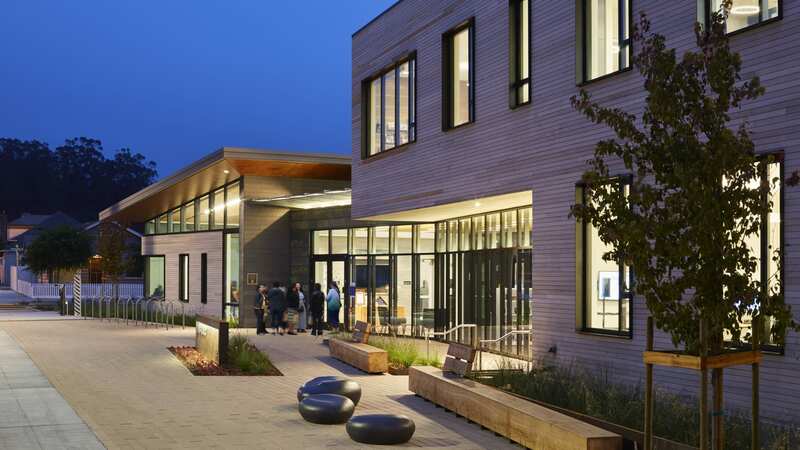 The design of the building celebrates the small town feel of Half Moon Bay and the Coastside, reflecting the beach and agricultural roots—simultaneously, using materials that will hold up to the coastal environment. 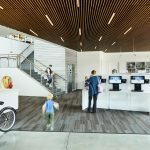 The 22,000 square foot library opened its doors in August of 2018. 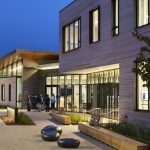 It was designed to meet LEED Silver standards and is expected to be certified LEED Gold, as well as projected to be a net zero energy building. This community hub features something for everyone, where people of all ages can feel at home with access to the latest resources, technology, and information. 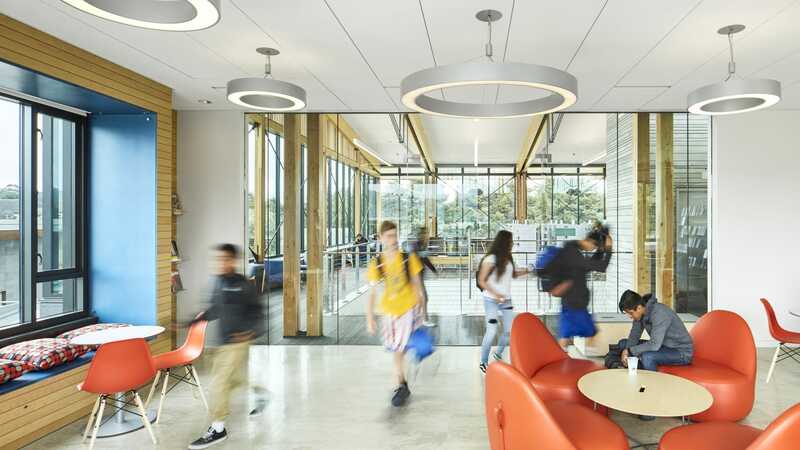 The Library offers quiet reading and study rooms, an expansive children's room, a teen room, a collaborative makerspace, and inviting indoor/outdoor spaces. The new building has enabled the library to expand programming and services, including library collections, literacy services, job training, wellness workshops, cutting-edge technology and much more. 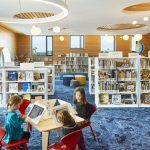 Since opening, the Half Moon Bay Library has received four prestigious awards. 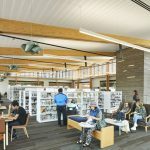 In March, the Library was awarded a Green Building Award sponsored by Sustainable San Mateo County (SSMC)opens a new window and the American Institute of Architects of San Mateo Countyopens a new window. The Library also received the International Interior Design Association (IIDA) Northern California Chapteropens a new window Honor Awardopens a new window in the GIVE | Social Responsibility category and received a Special Commendationopens a new window for Sustainable Community Infrastructure from the American Institute of Architects, San Francisco Chapteropens a new window. 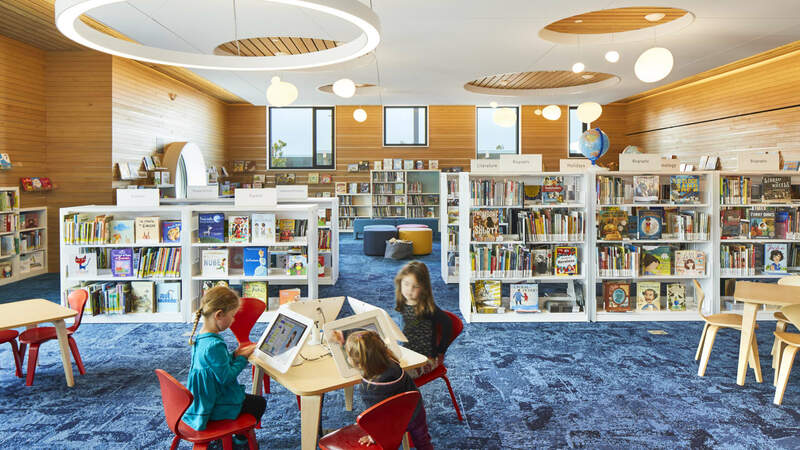 We are honored that Half Moon Bay Library is celebrated and distinguished as one of the finest examples of library design. We give Thanks and Congratulations to everyone involved, especially our partners: Noll and Tam Architects, City of Half Moon Bayopens a new window and the County of San Mateoopens a new window.